In today’s fast moving world, business leaders need to be at the top of their game in understanding exactly how their rivals are performing; what they are marketing; where they are selling; and what their management team are saying. This information can be used to set benchmarks against which your own brand’s performance is measured. And with accurate analysis you can make informed decisions in order to gain vital competitive edge. How useful would it be to capture everything your competitor is doing real time, setting up business alerts against pre-qualified events? Now you can do just this, with Katalyst’s Pathfinder service. Pathfinder provides instant monitoring against hundreds of thousands of websites, news feeds, forums, social media platforms and blogs. With Pathfinder, decision-makers have the ability to make strategic decisions based upon up-to-the-minute data; gaining insight into what works and what does not and driving the entire organisation from a position of strength. Knowledge is power, and competitor positioning is crucial for modern firms. Pathfinder gives you access to the resources that will make this a possibility. Pathfinder is a flexible, scalable solution for monitoring competitor positioning. It enables businesses to set up search queries which are specifically formulated to keep tabs on the activities of major rivals. These queries are a combination of the terms which best define the areas you wish to analyse, comprising everything from competitor products to mentions of your own brand by specific media outlets. This is an extremely effective means by which you can track not only how another company is performing, but also how your own brand is faring in relation to your competition. You can even integrate alerts which automatically notify you when particular pre-determined events occur so that you can respond to them as quickly as possible. The ability to react swiftly is vital to staying on top of trends, taking stock of industry news and keeping tabs on the manoeuvring of rivals. And Pathfinder delivers on all counts. The metrics which can be tracked using Pathfinder include both those relating to key competing brands as well as to any sub brands associated with them. You can use it to access real time analysis of markets within specific geographical areas; stay up to date with changes in pricing; and even assess the impact of a marketing campaign so that ROI can be calculated accurately. Pathfinder can achieve all of this and more. And with Katalyst you can choose to harness this platform as part of a managed services package, meaning that you can reap the benefits without the burden of hosting anything in-house. To get started all you need do is to determine the most effective search queries and the monitoring of competitors can commence. It is this immediacy that businesses value most, since it can eliminate any latency in decision-making and ensure that leaders are never out of touch. The real time insight you receive can start flowing into your organisation via Pathfinder immediately. You simply need to work with Katalyst in defining search queries which will offer the greatest impact possible and provide the most accurate results. One of the most effective strategies in staying ahead of the game and in elevating your brand is to track developing news stories that will have an effect on the industry or market in which you operate. And with Pathfinder this is just one of the many advantages that are available. Keeping up with current affairs is beneficial not simply in terms of competitor positioning, but also in order to determine the performance of your own brand. And with a wealth of metrics capable of being factored into the solution, you will be able to check on the precise state of play at any given time. The monitoring capabilities of Pathfinder make it possible to gain a far more comprehensive insight into the way in which your brand is perceived in the outside world, both by customers and by industry analysts and influencers whose opinions can be especially potent. In addition, it can track mentions of your brand made by management figures from within the company, or those in positions of power within rival organisations, ensuring that you get a full picture of the current narrative from all viewpoints. Analysing not only news outlets and blogs but also social media platforms will make it possible to determine the degree to which your brand is being discussed and the associated conversations shared. This is in addition to understanding the sentiment of the responses it is generating, whether positive, negative or neutral. As a result, you will be able to identify any affinities your customers may have with competing brands, allowing you to develop a better understanding of their behaviour as consumers in addition to refining your view of audience demographics. So when it comes to winning over new customers and retaining existing ones, you will be fully equipped to succeed. As a business leader, Pathfinder provides essential input in formulating forward-thinking tactics and in basing strategic decisions upon hard evidence, rather than on guesswork or estimates. 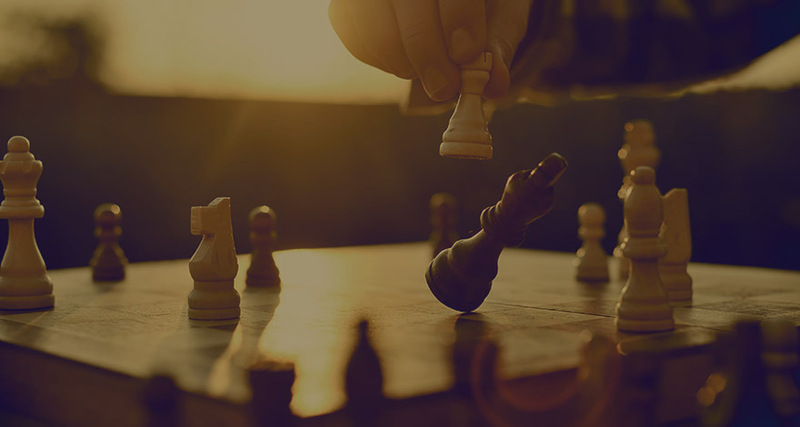 In a competitive marketplace, information is ammunition that can be used to gain the upper hand, refining the direction of your organisation and adapting to trends and pressures as they occur. Crucially, you can use Pathfinder to build a far broader perspective, identifying viewpoints which might otherwise be unavailable to you. And with the fast-paced nature of the digital age, being agile and responsive as a business is a must. Whether you choose to deploy the Pathfinder platform internally or to partner with Katalyst to adopt it as a managed service, its advantages are numerous. Ultimately it is important for every business to strive to take the initiative and to secure a competitive advantage over rivals. So stay one step ahead of the pack, and choose Pathfinder from Katalyst.